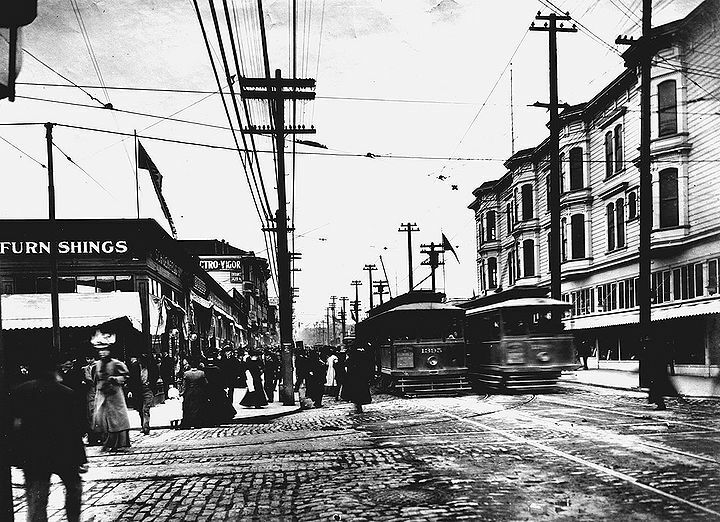 Fillmore Street, c. 1911, when it was the commercial hub of the city. Plans were drawn up in 1912 to tunnel beneath Fillmore Street to the Marina District, but the plan never came to pass. Note the Arches above the street. 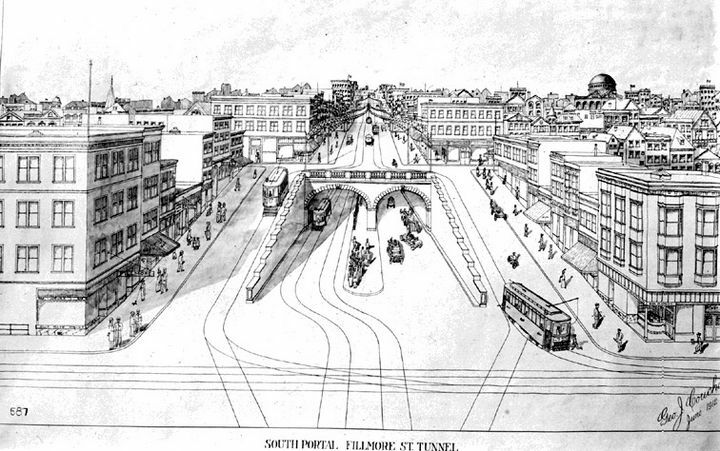 Artist's rendition of a 1912 proposal for a tunnel beneath the Fillmore to the Marina. 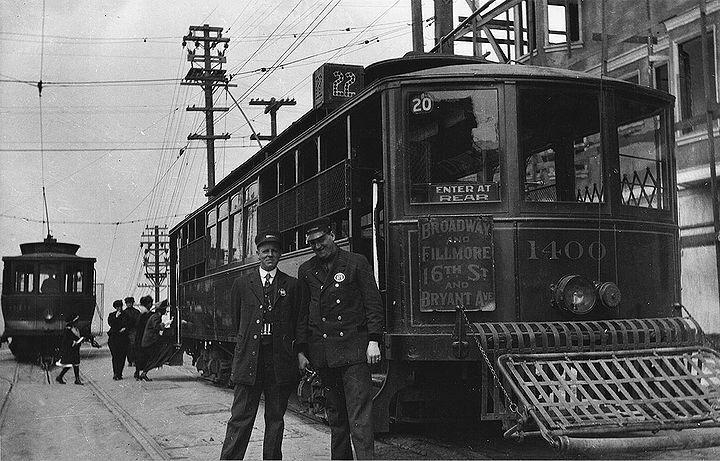 Streetcar #22 on Fillmore, c. 1910. Looking north at Fillmore and Broadway, late 1914, Panama Pacific International Exposition under construction in background. Passengers disembarked here for the two-block ride down to Green Street by gravity car of the unique Fillmore Hill Counterbalance, built in 1895. 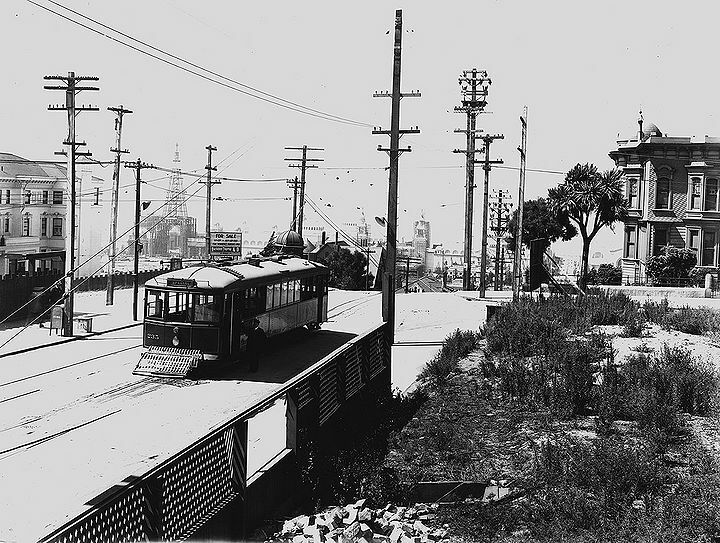 This electric line ran from 16th Street along Fillmore to Broadway. 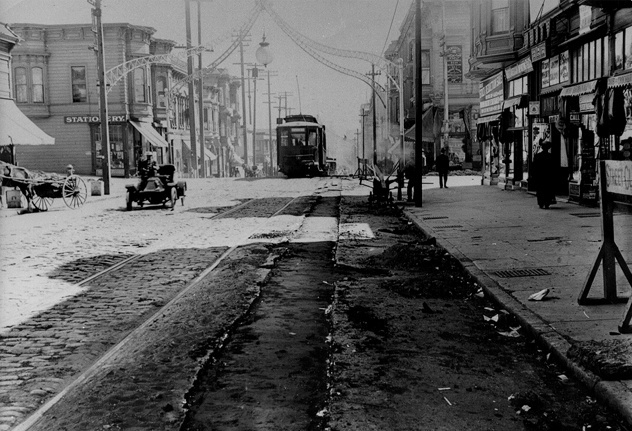 Fillmore Street looking north at intersection with Ellis Street, 1908.